From day one, digital-only banks have been taking a new approach to boost user numbers and overtake traditional financial institutions in innovation. And setting up new partnerships seems to be the next big thing on their agenda. Challenger banks are already among the biggest competitive threats to traditional banks. They have a lot going for them: they offer frictionless customer experience through digital channels and don’t have to worry about the burden of operating legacy systems or extensive branch networks. The biggest challenger banks, like Revolut, Monzo and Starling in the UK, or N26 in Germany, all have bagged millions of new customers in Europe within a relatively short period of time (although their profitabilityis yet to catch up with rising customer numbers). What makes them so attractive? AsCB Insights puts it, their secret is “charging customers transparent low fees, providing faster services, and delivering a better user experience through always-available digital interfaces”. And that’s not all. So far, most of them have only focused on a few high-return retail banking products, like current accounts or credit cards, and not a whole range of products, like traditional banks. Revolut, for example, initially offered a niche foreign exchange service that lets mobile users exchange money at lower costs without having to open several bank accounts. Why is a streamlined product portfolio such a big advantage? Because it means fewer regulatory requirements,according to KPMG. Nevertheless, the biggest digital-only players have already obtained full licences, and benefited from e-money licences and the European Economic Area ‘passport’. The latter allows a company licensed in an EU member state to offer services in another without further authorisation. Monzo to ‘set the tone’? Challenger banks’ next move seems to be teaming up with other fintechs and innovative technology service providers to sail into uncharted waters in digital services. 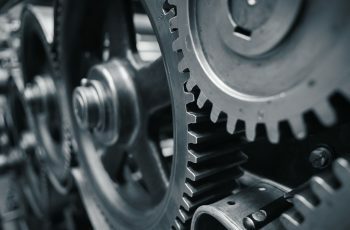 Monzo made waves in Junewhen they integrated with If This Then That (IFTTT), the world’s biggest automation platform, to allow their customers to connect their bank accounts with hundreds of apps and services. The first of its kind, this partnership has ushered in a new era of banking, opening up a myriad of new opportunities for customers to personalise how they use their money. How does it work? Monzo customers can use automation rules, called applets, to link their accounts to regularly used apps. For example, a client using the iOS Health app to log his calories can set an applet to log 200 calories on iOS Health each time they buy anything at Starbucks. Customers can also set up applets to receive a weekly spending report by email or forward receipts to their expenses provider. Monzo offers a collection of pre-made applets to choose from but customers can easily create their own automation rules, too. This is what gives this partnership a landmark importance in terms of future opportunities for enhancing digital customer experience, even if the integration only allows Monzo customers to move money in and out of pots within the app. “For today, whilst it looks good, it’s not transformational yet,” Alex Bray, AVP of omni-channel acquisition and servicing at Genpact writes. “But then, transformational is an unfair yardstick at this stage. This is a cool thing to have done. I think it will set the tone for other banks and I’m sure we’ll see much more of this in the future,” he added. In any case,ING Australia quickly followed Monzo’s example and joined forces with IFTTT so now their customers can make automatic transfers between accounts based on triggers they create. They can link a Fitbit step goal or Apple reminder to savings, or move money into a savings account every time the air temperature drops below a chosen level. “What better way to save up for that tropical vacay?,” the bank asks. The EU’s open banking directive, effective from January, has forced financial institutions to give startups and other companies access to and build services based on their data. However, it hasn’t done much about giving individuals more control other their money,Wired says. But solutions like linking up with IFTTT can change the rules of the game. New challenger bank partnerships is something of a trend to watch, CB Insights points out. Challenger banks forge fintech partnerships to grow as APIs and enabled integrations are cheaper and faster when it comes to launching products and acquiring customers. “Other challenger banks may ramp up partnerships, especially now that the UK’s open banking standards and the EU’s PSD2 are live,” they explained. Starling is already taking advantage of new regulations and is aggressively going after partnerships with other fintechs. It has launched an API marketplace this year and is now aiming to team up with 25 fintech startups, according to CB Insights. 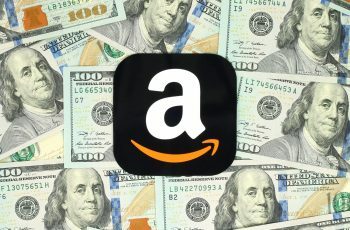 The marketplace is like an app store for financial services that connects providers to the bank’s customers. Challenger banks “may also look to partner with bulge bracket banks they set out to disrupt in order to take advantage of new open banking requirements, facilitate network speed, and ensure information security”. Tandem and Atom, for example, may be on the lookout for larger partners as they add more products, like alternative credit cards and mortgages. 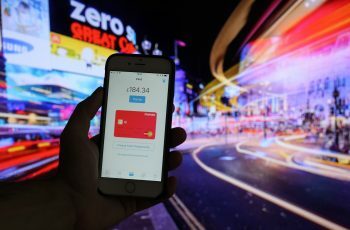 Some challenger banks, such as Atom, Monzo and Starling, hope to create a financial services marketplace with banking operations at the core, KPMG reports. These digital-only banks are more likely to partner with fintech companies – or even think of themselves as such. People usually think of fintechs and banks working together as a collaboration, “but there are lots of different permutations,”Starling CEO Anne Boden said. “We are a bank, but we focus on technology so much so that we are almost more a technology company than a bank,” she explained. 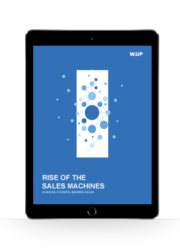 For more on how financial institutions can benefit from AI tools download our white paper on AI in banking sales.